The Extra Blue Polished Granite is one of the most fascinating natural stones used for the interior and exterior decoration projects. Actually, this natural stone is a labradorite, a feldspar mineral. To be understood and remembered easier, this natural stone twice as durable compared to marble was called "granite". Similar to the sky from the North Pole: The first time you see it, you are thrilled by the look of this semi-precious natural stone. Because yes, this granite is a gemstone. At a first glance it looks black, with blurred gray spots and soft blue color pigments (pegmatite), but many light inflexions turn this color variation into a genuine and magical show. Against diffused light, the grey stains of the granite are highlighted, the blue insertions of granite come to life, while the black becomes a dark blue. Subjected to a strong light, Extra Blue Polished Granite turns into color of the sky from the North Pole: a dark blue, bright and vibrating, with white twinkles sprinkled among sapphire-colored stains. Usage: You can imagine all this show of colors displayed in many projects. This Extra Blue Polished Granite is recommended for a wall from a living room, office, hallway, bathroom or kitchen, or could be a countertop/backsplash or also stairs, flooring or fireplace... And if you've already wondered about such a granite being used for exterior decoration projects, highlighted by spot lights or sunlight, well, the answer is yes: the extra blue polished granite is a perfect match for exterior as well, for cladding facades of buildings, fences, home bases, decorative borders and more. Durability and versatility: we said earlier that people are impressed when they see this natural stone for the first time. From the second look, Extra Blue Polished Granite looks amazing due to its high durability. 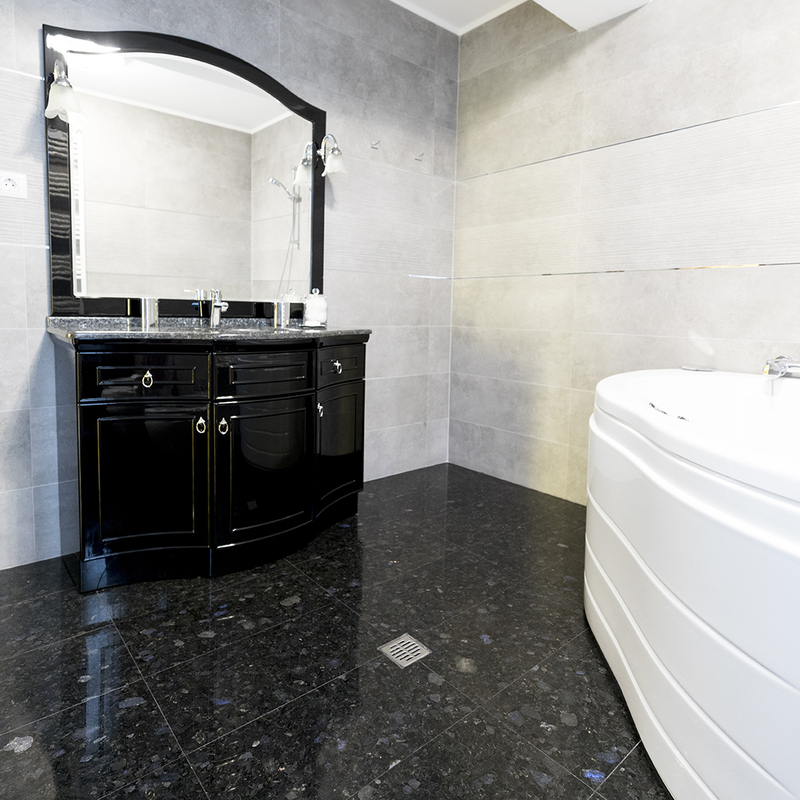 Basically, it is a natural stone very difficult to scratch, withstands freeze/thaw cycles, moisture or chemicals and requires minimum aftercare. 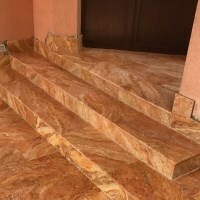 Even so, we recommend, as for any other natural stone, waterproofing the surface. Another practical advantage is the wide tile size available (61 x 30.5 cm), which leads to a reduced installation time and easy handling (thickness of only 1.2 cm). Processing the Extra Blue Granite: After extracting the natural stone block from the quarry, this is cut into slabs, the surface is polished and next a resin layer is applied on top. Afterwards, the tiles are allowed to dry. Such a process takes place in a special furnace (a process that increases the final price of the product) or directly into the sunlight (a diminished price of production). When the resin is dryed, next comes surface polishing (manual or mechanical). This procedure aims at strengthening the stone (prevent development of cracks) and obtaining its impressive brightness. The photos below highligh the energy and also the elegance of Extra Blue Polised Granite. As a result, it becomes the perfect match for a white bathroom furniture. 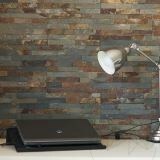 As with any smart decoration project, wall cladding is not an eye-catcher, yet it shapes a consistent touch for the rest of the setting. Thus contrasting, each one underlines the other. 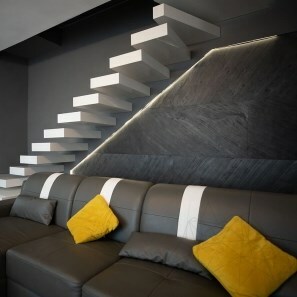 Keep in mind that this special granite included 3 colors in its composition (black, blue and gray) distinctly underlined by the intensity of light and you will instantly discover its many matching options with furniture pieces or other similar natural stones in terms of color and texture. In many decoration projects, as it became increasingly popular on global scale, the extravagant Extra Blue Granite was preferred for luxury decoration projects, yet it’s more popular also for smaller decoration projects due to its ever more affordable price.